FREE 2cttw Black Diamond Earrings! Down From $130! You are here: Home / Great Deals / FREE 2cttw Black Diamond Earrings! Down From $130! 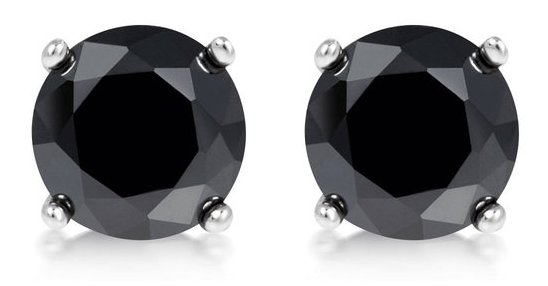 Tanga has these 2cttw Black Diamond Earrings for FREE (Reg. $130)! This contemporary take on a classic style is sure to leave her breathless! This pair of studs features simulated black round diamonds set into 4-prong sterling silver earrings. Each stone weighs approximately 1 carat for a big look!